I realize as I de-clutter that I have a thing about boxes. I try to bring one back from every place I travel--and the smaller the better. I have a glass topped table full of them. No room for any more. I like interesting little boxes to hide away special little things Here is one of my favorites that John bought for me at a craft show in Idaho. The elephant has so many drawers within drawers. My grandchildren love it! 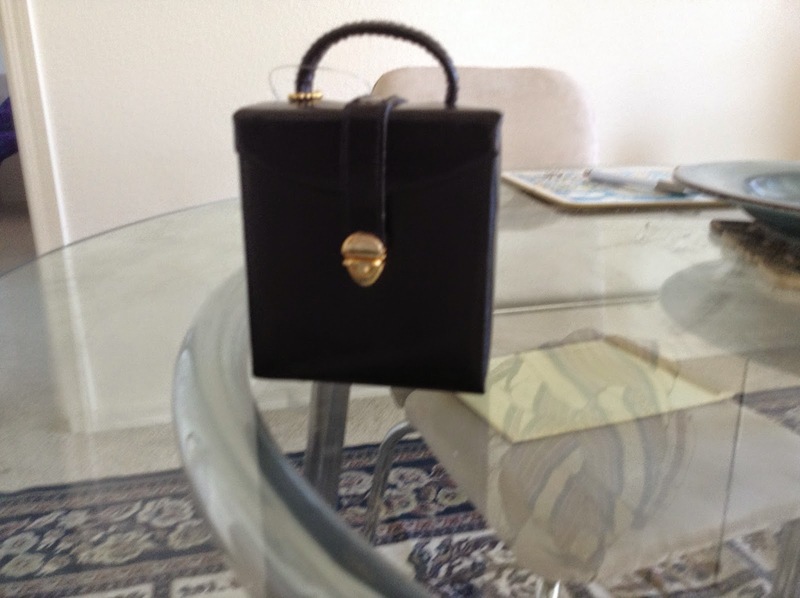 Being a fan of boxes, I was thrilled when Book Passage bookstore gave me this traveling jewel box as a present. Isn't it perfect? And this is a more recent tiny box, but also one I'm very fond of. 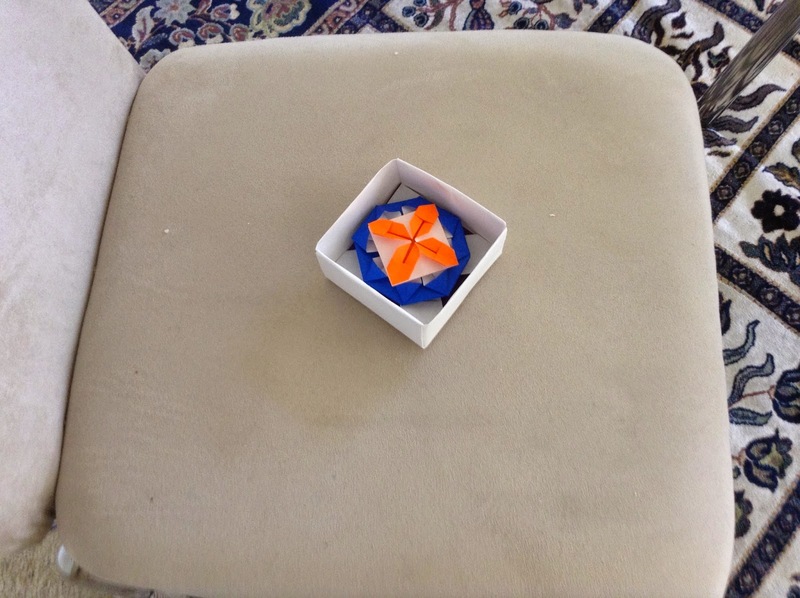 It is made of origami by my talented grandson. However I was quite surprised to come across this tiny box in a drawer the other day. I have no recollection of who might have given it to me. I certainly didn't buy it. But I love the message on the lid. 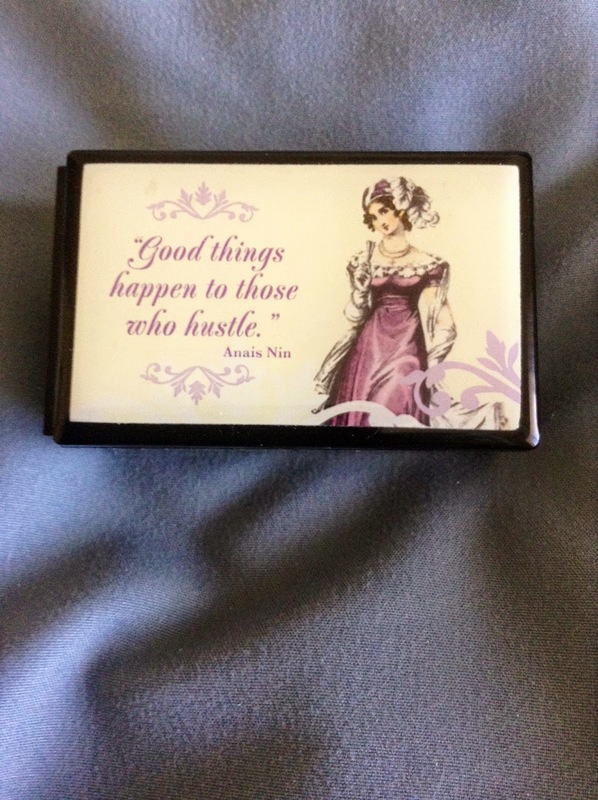 Good things Come to Those who Hustle. It's a quote from Anais Nin but it could be my mantra. I certainly worked hard all my life and kept on plugging away though ups and downs. And speaking of mantras, I have another saying pinned to my bulletin board back in California. It says NO PRESSURE NO DIAMONDS. That one resonates for me too. And encourages me when I'm really stressed. John's family motto is INTER UTRUMQUE TENE which means steer a middle course. Very sensible and measured. I think I like the box with hustle on it better. So I'm curious to know if others have a special mantra. Or a special collection of something. I love your boxes, Rhys, especially the elephant. Advice to self? Keep on keeping on. Your boxes reminded me of a wonderful box I had as a child, that had a mysterious thing to slide to open it, always hard to find, and then other parts that opened. I no longer have it. But I do have a collection of dolls from all over the world that my traveling grandmother started for me when I was quite young, and that I have added to over the years. Carpe Diem and No Regrets would be my guiding principles. And their corollary: Dance Like There's No Tomorrow! Long before it became fashionable to collect angels I began collecting them. Some are out on display all year; some come out only at Christmas. I also have a collection of crèche sets from around the world. One of them is out all year, the one I bought in Bethlehem many years ago. The others were purchased at stores that feature handcrafts from Third World countries. Being a birdwatcher, I also have a collection of bird carvings and bird ornaments, etc. My motto, for when things go horribly wrong, is: "You WILL be able to find humor in this someday". And for a day that seems as though it's been full of little irritations, my motto is similar: "find something about this day to laugh at before you go to bed tonight." I love the boxes! I have a few, but they are all functional and hold office supplies. No mantra. Hmm. I should think about that. I do own more than 100 vintage tablecloths, so a big yes on the special collection. For me, it's odd-shaped glass jars. Not an "official" collection like my frogs, but they do seem to accrue around here. Mantra? Not really, but I do find myself muttering-- all too often-- "You CAN do this, you can DO this." My husband does the collecting in this house. My job is to keep it contained and complain when it gets out of hand. I've saved... not much. All the name tags from every conference I've been to. Does that count? Also feathers I've found. Random thought: Has anyone ever found a cardinal feather? I want a red one. Collections? My bears. A small collection of original Madam Alexander dolls. My grandmother's collection of china teacups. Edith, to your "mantra" I would add, Dance like no one is watching! Yup, I have all my name badges, too.They're looped onto the back of my writing chair, which sometimes makes it fall over backwards. Oh, no cardinal feather--but I have a blue jay father on my fridge! 100 vintage tablecloths! WOW. Fantastic, Ramona. I stopped saving name badges after the first few years. Figured I knew who I was, and threw them away. You can't save everything. Enjoy seeing collections that are meaningful to the collector--especially when there's an element of whimsy. Mantra: "No mud, no lotus." Sometimes, when your feet come out of your boots because the mud is so deep and thick, it can be hard to remember there will be a lotus. I also have a collection of dolls from all over the world that my father and. my aunt brought back for me, Edith. And Carpe Diem.Perfect mantra but makes me think of Dead Poets Society and thus sadness about Robin Wlliams. And I kept all my Malice badges that say Nominee but since the room was redecorated I don't know where they are and I haven't missed them. There are days when I open a drawer or a box of stored things to find little boxes that I've let come into my life over the years. Some adorable cardboard boxes that once held presents. It's a pleasant surprise and a time to remember something wonderful. I love your boxes. I like to collect name badges. I still have mine from the Book Passage mystery writing conference 2014. Since you asked me about "mantras", I try to be kind and treat people the way I want to be treated. I am a lover of boxes, too, Rhys, and yours are all really special. The elephant is quite something. When I was in Hawaii a couple of years ago, I bought several puzzle boxes, a mermaid (kept that one for me), a Betty Boop, and a horse. My husband brought me back several lovely boxes from his trips to Quatar and Afghanistan. There are actually quite a few items I love to collect, which is why my shelves (placed in front of the books there) and tables are crammed full. I'm such a tourist in collecting shot glasses, but I do like them, especially really nice ones. I enjoy small pottery items, too, such as a few bowls I've gotten different places. Carved wooden items are always a pleasure to find, but I've limited myself to a few select pieces. Mermaids were my theme of choice for quite a while, but I've reached my fill on those. Elephants have also had quite a run. I do so like little unique pieces like the carved goat I picked up in Key West last year. In fact, there is a shop there that I always choose my special items from, including some gorgeous pottery. It's called The Wild Side Gallery and has so many wonderful paintings and pottery pieces and sculptures, and the owners love to tell you the history of the artist behind the pieces. Oh, and they ship, which makes it so hassle free. Hmm, a mantra? You can usually be about as happy or miserable as you choose to be. You can't let anybody be in charge of your happiness but you. Laughter is the elixir of life. And, don't forget to shake your booty from time to time. Hallie, I will keep an eye out for a cardinal feather, as they reside around me. It's funny. My five-year-old granddaughter was talking about the males being more colorful than the females yesterday. I was quite impressed that she knows such things. She takes nature walks and collects items. Kathy, I also collected elephants for a long while. Then the collection got too large and everyone was giving me elephants. So they are now in a box in the attic. Such great mantras, everyone. I agree with all of them. Boxes are a great thing to collect. 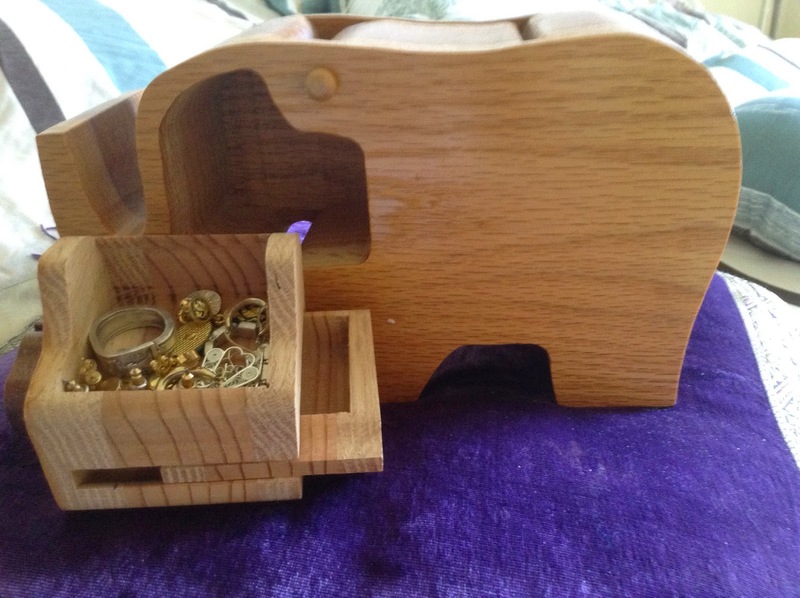 The first one I ever bought myself was a Lane cedar jewelry box. Does anyone remember those? High school seniors had a chance to buy them, and then they would send you stuff about their "hope chests". 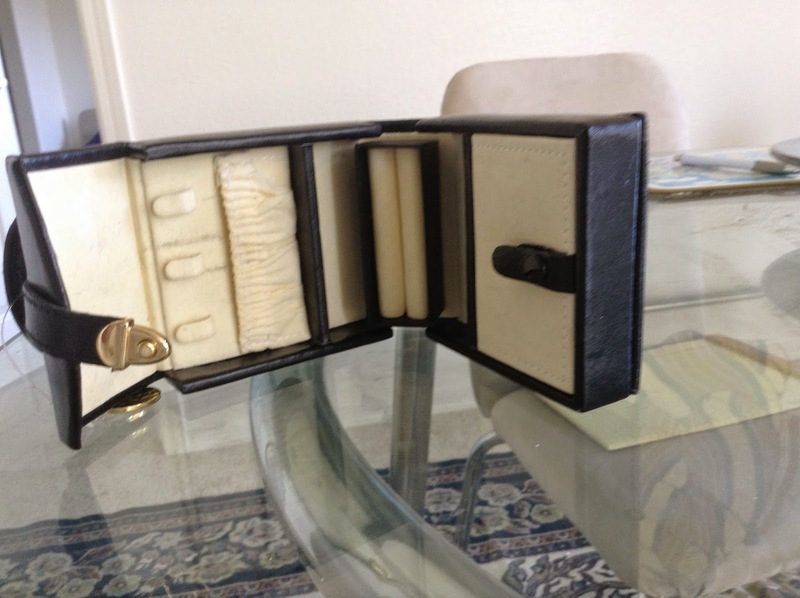 Mine holds treasures, including a rosary blessed by Pope John Paul that my middle daughter bought me when she went to Italy in 2001. I also have sterling silver, ivory (from my mother-in-law's things when we were clearing out the house), and a lovely inlaid soapstone one. My advice: everything counts. Every word you say, every ounce you ingest, every thought you think. It all counts. Hallie, I'll keep an eye out for a cardinal feather for you, too. They nest in our yard. I have a blue jay feather on my desk, with some pretty bits of rock I've picked up. I always pick up bird's egg shells in the spring and save them until they get crushed by something. Motto? Big on Carpe Diem. And the Golden Rule. But I think I'll adopt Karen's "Everything Counts." Books. :) Actually, historical mysteries. Someday, there will be a wing at my local library: "The PK the Bookeemonster Memorial Historical Mysteries" wing. I hope there isn't a statue. I will donate my collection when I don't need them anymore but because my TBR will never be completely read, I guess I can never die. For many years, I had a quote from Jim Henson of Muppet fame as my words to live by: "Follow your enthusiasm." Sometimes for better, sometimes for worse. Ok, if I had money, I *would be* collecting Beleek. I have two lamps with bases of Beleek and I love them. I would fill my house if I could. We're in preparing-to-downsize mode, so I'm not collecting much of anything these days, other than pictures of my granddaughter and bridge-related mysteries. Collection: Fountain pens. I'm addicted. I have collected Zuni beaded dolls and carnival and flash cranberry glass but stopped years ago. No horizontal surfaces left on which to place. Motto: Do unto others as you would have them do unto you. Love your books, Rhys, and can't wait to read "The Edge of Darkness."